Chronicle readers, thank you for your patience. A holiday for me is just that: no missives except those to family who need a hey, hello and Lay ee odl lay ee odl lay hee hoo…. But I’m back, to hail and brimstone in this sorry state some sadist calls “summer” in Toronto. Go ahead. Tease us with sunshine. We know you don’t mean it. 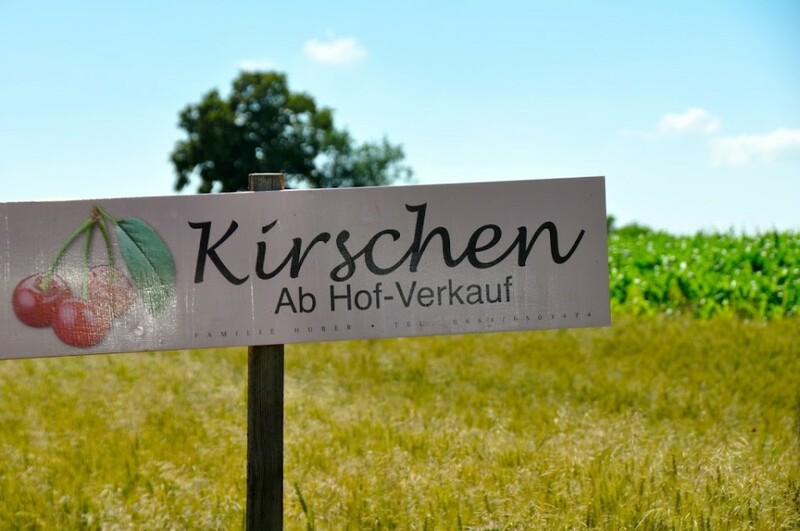 Send me back to the Austrian mountains where I will now retool my idea of the perfect picnic after the high (!) of an alpine feast of simple sandwich and mineral water. Location, location, location. Here I thought is was all about the grub! Who needs dessert? Uh…that would be baker girl me. Austria was unknown to me but for Julie Andrews cavorting in the hills while a helicopter’s down draft almost knocked her over to shoot the opening scenes in The Sound of Music (and yes, I did go on the tour), Mozart mania and a vague sense of the breadth of an empire. But was I prepared for the desserts? Our first stop was Vienna where we were schooled in strudel, the national dessert of Austria and what was once the Austro-Hungarian empire. My Greek mother-in-law has promised to show me the secret technique of baklava, a close cousin. 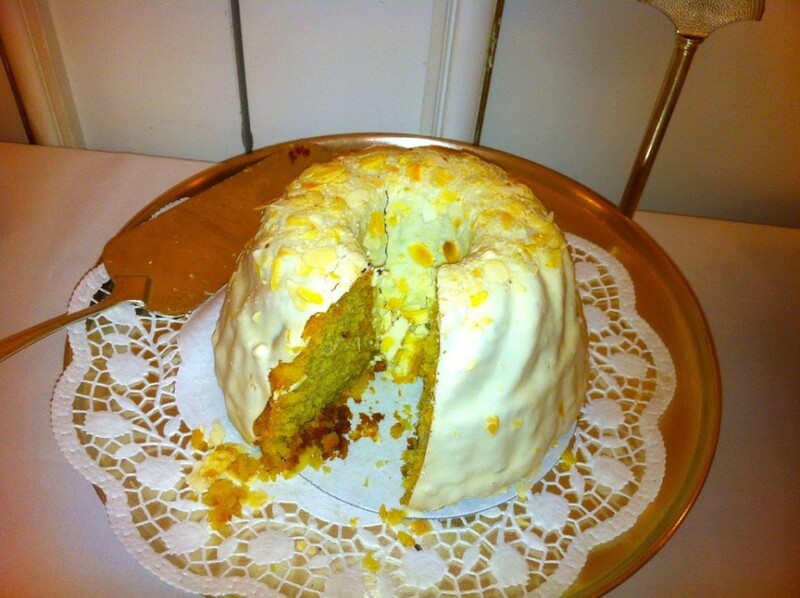 At the imperial bakery in Schonbrunn Palace, pastry chefs demonstrate the method and make it look easy. 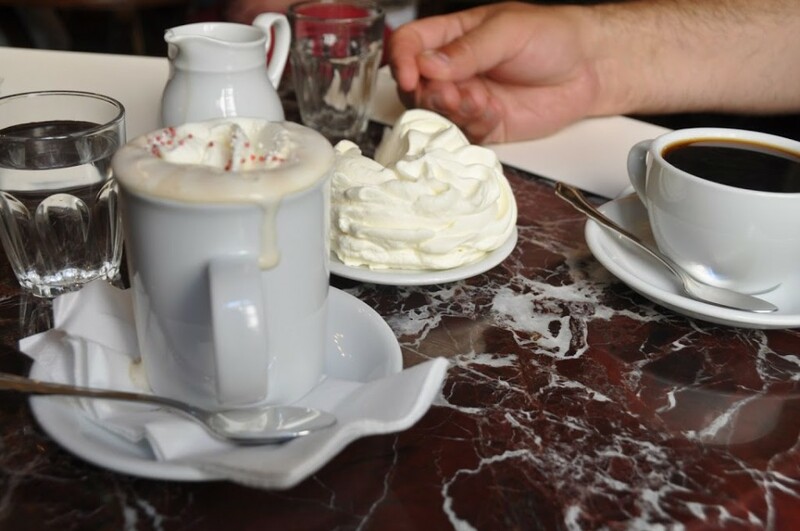 Apples, cinnamon, salt, bread crumbs, vats of butter and that crispy,wafer-thin dough should be simple enough, but as we forked our way through coffee palaces, where coffee and confectionery are meant to be lingered over, we tasted versions better than others. 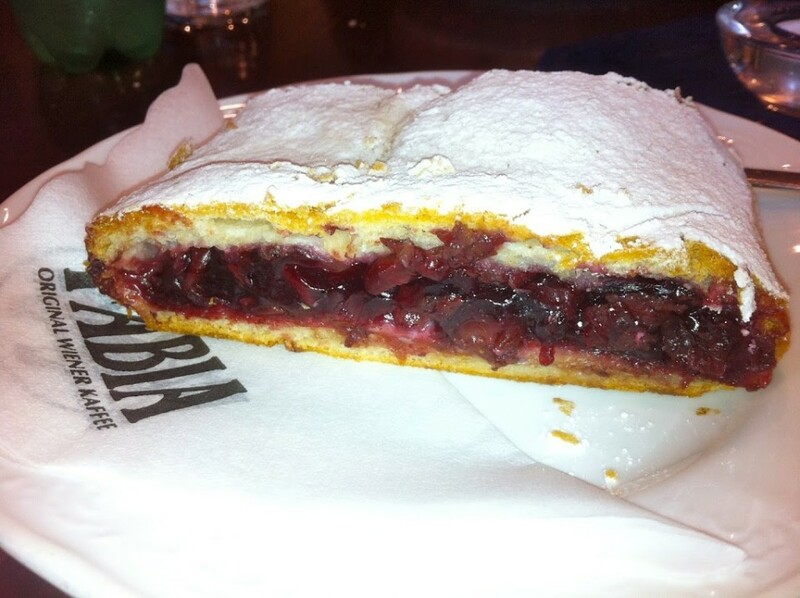 Rhubarb, strawberry and other fruit are seen in a strudel but the apple is king and rightly so, save the sour cherry, sure to ascend to the throne, my cherry addicted companion planning the deposition. 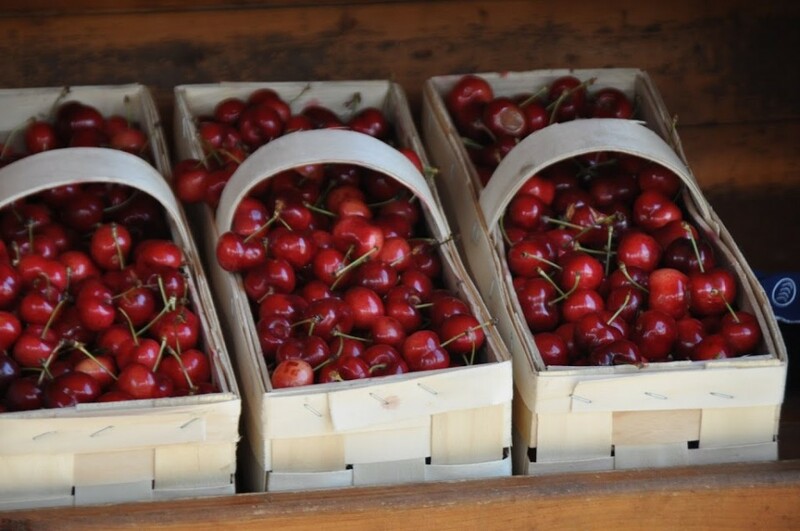 Cherries were in abundance throughout the country, in roadside stands, and on most menus. 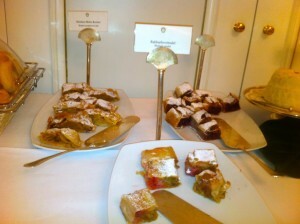 Breakfast in our Vienna hotel was a long table of treats where the strudel shared space alongside other traditional confections and champagne because we need bubbly to get the day going in this gem of a city. I stuck to my coffee. But, as you will hear, that was hardly roughing it. 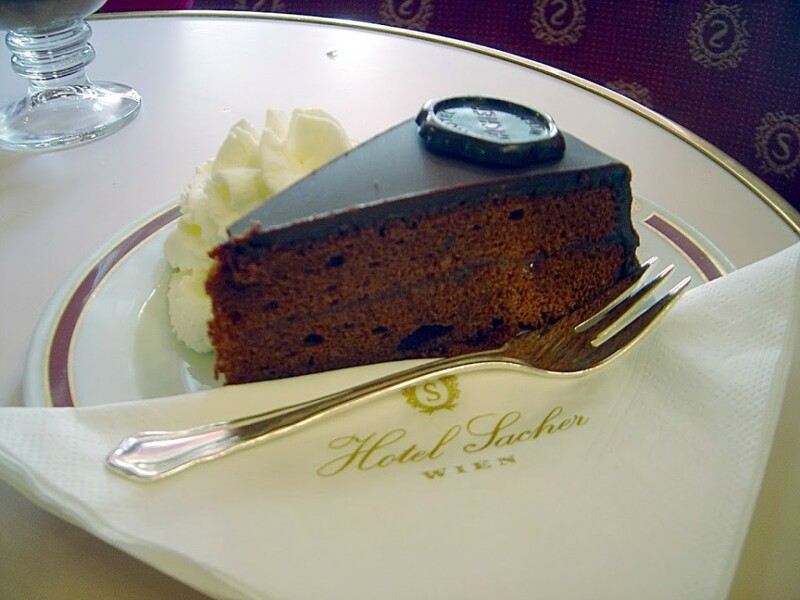 The richest of these is by far the Sacher torte, once the subject of a nine year legal battle between the Hotel Sacher and Café Demel over the dessert’s specific characteristics. 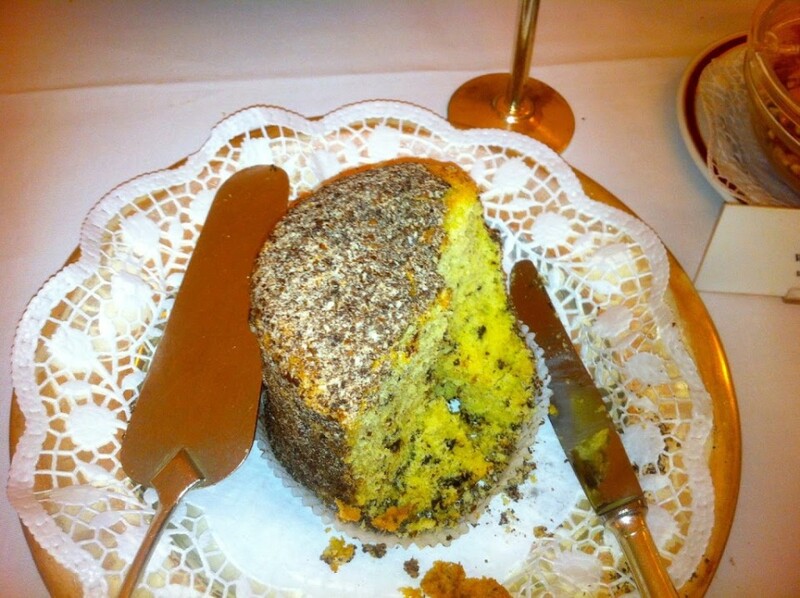 We won’t take any sides on dessert debates but will say the Café Demel reeks of storied regulars and footsie romance and I will fly back anytime just for another afternoon of sweets with my schatzi. 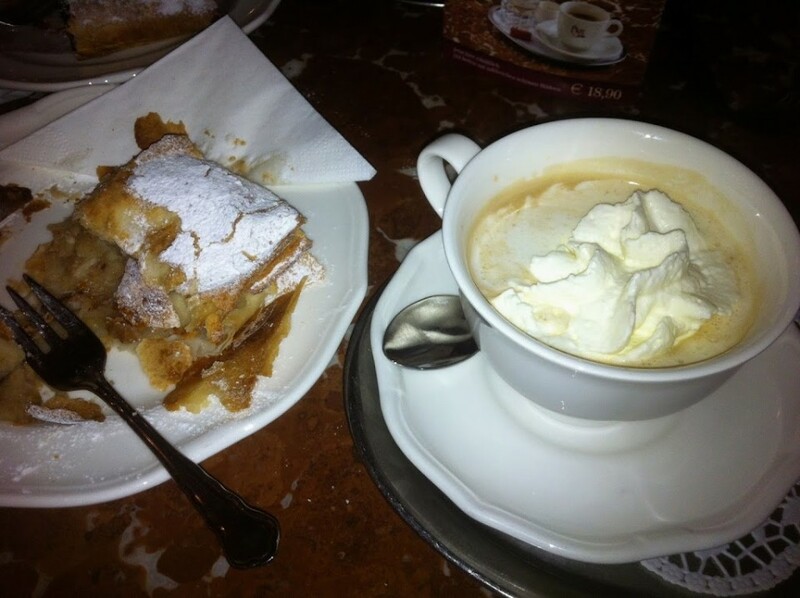 Having a coffee in Vienna is not for the hurried, what with liqueurs, whipped cream and little spoons that say go ahead and stir, sucker. 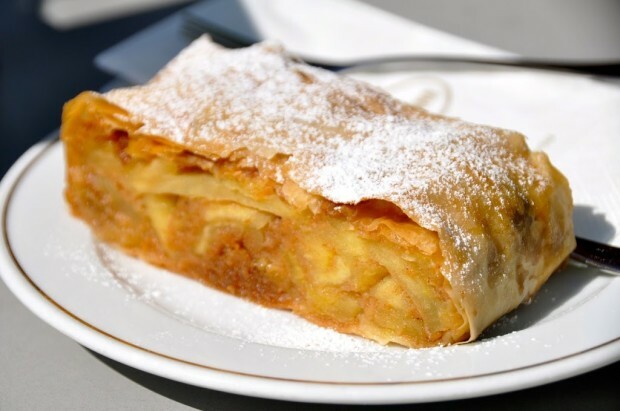 If you forgo the strudel, you are still done in by all that cream. The city is dotted with historical cafes, some 1,083 of them. We tried as many we could fit into a schedule packed with art ogling and musical madness. 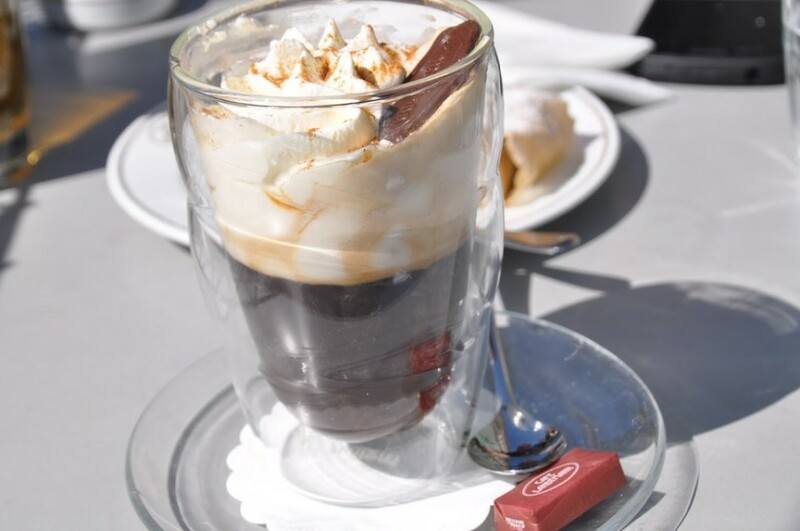 Whether inside the gorgeous Café Central with the piano player keeping our jet lag at bay, or outside on the terraces of Café Landtmann, a favourite of Gustav Mahler, Marlene Dietrich and Sigmund Freud, Viennese coffee served up a whole new manner to punctuate an itinerary. In 2011, the Viennese coffeehouse culture was officially included in the UNESCO National Inventory of Intangible Cultural Heritage. There is nothing intangible about the strudel,at least for the moment it sits, a tease on the plate. The contented sigh that follows consumption is much harder to measure. Pastry parties have their own natural end. Ours came at the foot of a peak that provided a room with a view for a moment far too brief. Check back tomorrow for more.